Have you ever started out in the morning with a head of well defined curls only to have them fall by the end of the day? Losing the shape of your natural curls to frizz, the elements, or styling can be mega frustrating. 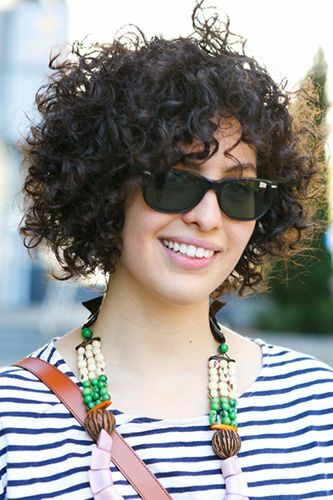 However, you can showcase your curl’s texture and help it stand out with these tips. When it comes to maintaining your curl’s natural pattern and texture, don’t skimp on getting regular cuts or trims. While length can feel important, it isn’t everything. In fact, long curls aren’t always the healthiest or in the best of shape. If you’re trying to reclaim yoiur natural pattern, it’s best to cut off all dead ends or damaged hair. Allowing damaged hair to stick around will only make your hair break, which will eliminate your efforts to grow your curls and to showcase your natural pattern. This one is a little trickier. In order to maintain their shape, curls must have elasticity. However, styling and an imbalance of moisture and protein can lead to less elasticity. If you have too much protein, your curls will become brittle and break. Too little can lead to fallen curls. In order to balance your hair’s elasticity, make sure you’re using a mix of protein treatments and moisturizing deep conditioners to balance out your hair’s elasticity. In addition to maintaining correct elasticity, you need to consider how you’ll manage your hair’s pH levels. You can help your hair out by purchasing products that will help balance out the natural pH levels in your curls. Search for products that offer the pH level right on the packaging so you know exactly what you’re working with. Learn more about working with your natural curl type, as well as The Mistakes Most Curly Girls Make!